This mod adds the GenoHaradan from the first Star Wars Knights of the Old Republic to its sequel. The GenoHaradan is an ancient secretive guild of assassins who work in the shadows operating to keep the Republic intact, however, following the Jedi Civil War something has changed the GenoHaradan, they no longer seek to kill the enemies of the Republic, instead they have focused all their energies into eliminating the once glorious Jedi Order who have stood as the guardians of peace and justice in the Republic for thousands of years for unknown reasons. While this version is complete, it is far from final. Similar to M4-78, at some point, the GenoHaradan Legacy will be improved with an improved story as an “Enhancement Project” as M4-78 did. Expect possible updates and patches to come. This mod also includes optional fixes for a few bugs and other problems not fixed by the Restored Content mod here and there but there won’t be too many of them. Please note that GenoHaradan Legacy will NOT work AT ALL without TSLRCM. 4. While I try my best to make this mod as bug-free as possible, with the many options of KOTOR2 and my, at the moment, one man testing team it can happen that bugs, including critical ones, pass through. Please feel free to report any bugs and I will fix them. A: Not for a long time. A: A new game or a save before Citadel Station with the TSLRCM mod should work but I'm not too sure about Citadel Station saves and I'm sure Nar Shadda saves won't work. A: I see no reason why it shouldn't work on those OS. If you manage to either use or find an alternative to the TSLPatcher and manage to install the mod then it should work. Q: Will you upload the full mod to the Steam Workshop? A: Most likely yes! This version will probably not be the last. If you find a bug please be sure to report it and leave feedback! Dashus – Project Lead of The Sith Lords Resotration Project (TSLRP), the original restored content mod which intended to restore the GenoHaradan, despite the TSLRP never being finished, its leaked betas which contained GenoHaradan content helped me understand the GenoHaradan plot in TSL a bit more. Lord of Hunger- Project Lead of the “GenoHaradan Revisioning” mod, his mod was never shown to the public thus makes his mod more of an inspiration. Exile007- Project Lead for “The GenoHaradan”, his mod was released to the public as a Beta file which was not compatible with TSLRCM. His mod and his work served as a major inspiration to the GenoHaradan Legacy mod and was used as a base for the first versions of the mod. Zybl2, Stoney, Hassat Hunter and VarsityPuppet- The main four developers of The Sith Lords Restored Content Mod (TSLRCM), the successor to the previously mentioned TSLRP. 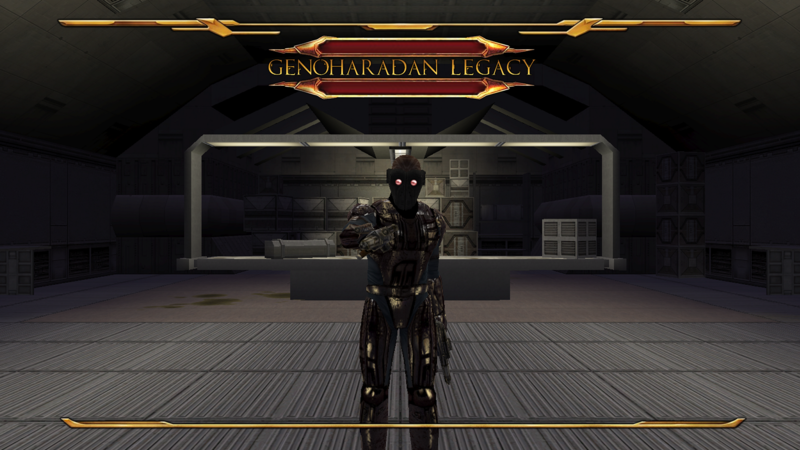 Despite not restoring the GenoHaradan, their efforts paved the way to more restoration mods such as the GenoHaradan Legacy. THIS MODIFICATION IS PROVIDED AS-IS AND IS NOT SUPPORTED BY BIOWARE/OBSIDIAN ENTERTAINMENT, LUCASARTS, DISNEY OR ANY LICENSERS/SPONSORS OF THE MENTIONED COMPANIES. USE OF THIS FILE IS AT YOUR OWN RISK AND THE ABOVE MENTIONED COMPANIES OR THE AUTHOR IS NOT RESPONSIBLE FOR ANY DAMAGE CAUSED TO YOUR COMPUTER FOR THE USAGE OF THIS FILE. Is this compatible with M4-78 EP? I'm 98% sure it is. If there is an incompatibility it would be very minor and won't actually stop you from going to M4-78, finishing M4-78 or completing the game. If you do find any sort of bugs, which I doubt there would be, let me know and I'll release a patch to fix it. I've been playing around this and I love it so far, but in the Atton restored dialogue, the part about Revan coming back and changing the GenoHardan is missing. At least on my end. Is it possible this line was never recorded? Hmmm, what about Extended Enclave? Might it be compatible as well? Yes, in the original "The GenoHaradan" mod it included a Sion VS Nihilus scene. My mod is an improvement upon "The GenoHaradan" but is TSLRCM compatible and does not feature a Sion VS Nihilus scene mainly because I intend for you to use the EE mod. Hm, sorry to add onto the "Will this work with" list, but I don't suppose this would have any issues with Partyswap? Decided I'd try this out along with M4, Partyswap, EE, and the PS/EE compat patch. I'm installing this last, which might be a mistake, but eh, we'll see. Can't wait to finally try this out! Upon further insight into the mod in order to hear the dialogue about Revan, you must set Revan to Dark Side on Peragus. I could modify this so that no matter what you always hear about Revan. Conveniently, I am also playing Kotor 2 with those mods with Legacy so I might be able to find an answer. I'll assume it could bug though it *may* not be that bad. Thank you. That sounds good. Though perhaps you could make it optional for people who are strict light side players and don't want Revan to have done anything bad after the mind wipe? Its fine to play as is and I quite enjoyed it. I will say this: Play through the ENTIRE Goto storyline and don't worry if the Genoharadan storyline seems to stop as it begins again after Goto's Yacht. Warning: Unable to copy file "303fix.ncs", file does not exist! Warning: Unable to copy file "lrn_form.dlg", file does not exist! Had not yet run into any bugs but I wonder if those two warnings could have been a big deal or not. 1) That may cause problems, yes. GenoHaradan Legacy 1.0.2 has been released. 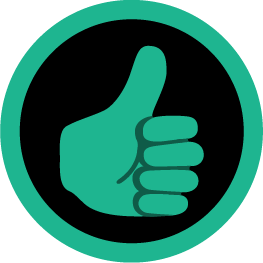 Just copy those missing files from 1.0.2 into your override and you should be good to go.